he study of culture in non-Western civilisations, moving away from the traditional approaches of ‘Orientalism’, is turning towards more sophisticated and objective ways to gain an understanding of these cultures. As part of this process, the concept of ‘memory’ and the various ways this affects communal discourse − and therefore societies as a whole − has become a key object of study. Drawing on academic scholarship presented in 2006 at Iranian Memories: Colloquium on Discourses of Memory in Iranian Languages, also sponsored by the Soudavar Memorial Foundation, this volume contains articles by leading students of memory in Iranian societies today, and represents a range of different approaches to the study of memory in these societies, both ancient and modern. 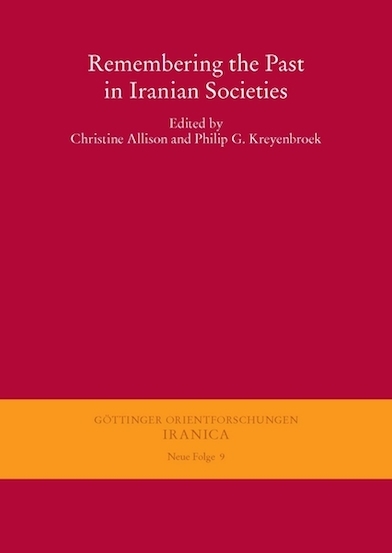 The definition of ‘Iranian societies’ has been kept ‘deliberately fuzzy’, and the work includes discussions of relevant topics in surrounding cultures. The emphasis is on modern Iranian, Kurdish, Afghan and Tajik culture, with further discussions of pre-Islamic constructions of history, Armenian lullabies, and the way Kurds were described for posterity by the Ottoman Turks. Together these articles are a representative collection of contemporary approaches to the study of Memory in Iranian societies. Professor Christine Allison is the Ibrahim Ahmed Professor of Kurdish Studies and Director of the Centre for Kurdish Studies at the Institute of Arab and Islamic Studies at the University of Exeter. After a BA degree in Classics and French at Magdalen College, Oxford, she studied Kurdish at SOAS with a Ph.D focused on oral traditions amongst the Yezidis of Iraq, and followed by a British Academy Postdoctoral Fellowship also at SOAS (1997-2001). 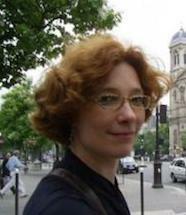 She was then tenured lecturer (maître de conférences) in Kurdish at the Institut National des Langues et Civilisations Orientales (INALCO), Paris, before taking up the post of Professor at Exeter’s then newly established Centre of Kurdish studies in 2007. Her main areas of interest are orality, literacy and popular culture across the Middle East and especially amongst the Kurds. Much of my written work has focused on the Yezidis, a Kurdish religious minority and also has a strong interest in the literary and cultural history of the Kurds of the former Soviet Union. 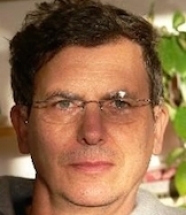 Professor Dr. Philip G. Kreyenbroek is Professor and Director of Iranian Studies at Georg-August University of Göttingen. He undertook a BA in Arabic, Persian and Turkish at the University of Amsterdam, followed by an MA in Persian, Ancient Iranian Studies and the History of Religions at the University of Utrecht, also in the Netherlands in 1970-72. After a brief time at SOAS studying Zoroastrianism, Old and Middle Iranian and Gujarati also, he resumed his studies at Utrecht and completed his PhD in 1982. From 1991-96 he was Honorary Secretary of the Royal Asiatic Society in London, a Consulting Editor of the Kurdish Studies section of the Encyclopaedia Iranica, and a Member of the Board of Directors of the Association for the Study of Persianate Society’s European Council. In 2008, he was awarded the Best Research Award by Razi University in Kermanshah and in 2011, the International Farabi Award in Tehran.